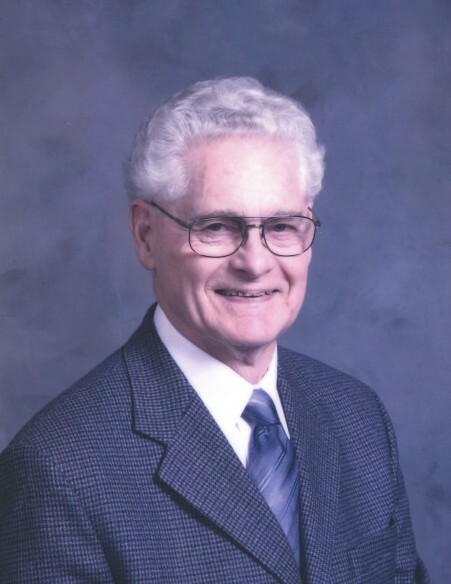 It is with heavy hearts that the family of Dr. Charles Roderick (Rod) French announces his peaceful passing in the Wetaskiwin Hospital, Sunday, April 7, 2019, at the age of 95, with loving family by his side. Rod was born April 5, 1924 to Horace Roderick and Annie Florence (Angus) French, in what has been more recently known as the Prince of Wales Hotel. It served as Wetaskiwin’s Hospital from 1922 - 1932, until being reduced to rubble by fire four weeks ago. He was the older brother to Malcolm (Mac) Angus French. His maternal grandfather, R. M. (Robert) Angus, was one of the early settlers to the Wetaskiwin area, establishing his family in the area known as Angus Ridge. After completing his formal schooling in Wetaskiwin, Rod stepped forward at the age of 18 to offer his service to his country by entering the Royal Canadian Air Force, and was stationed in Canada, UK, India and Burma during WWII. Upon his return from duty he embarked on what became a 39 year career in Optometry in Wetaskiwin, being introduced to the profession by his father, who served as both Wetaskiwin's Optometrist and Jeweller for many years prior. August 14, 1957 Rod married the love of his life, Dorothy Levitsky, a young teacher from Coaldale, Alberta teaching in Wetaskiwin at the time. To them were born daughter, Margaret and son, David. Mourning his great loss in their lives are his wife of 62 years, Dorothy French, daughter Marg French, son David French and wife Virginia (nee Hirsekorn) and precious granddaughter Juliana French. Rod was predeceased by his parents, Horace and Annie; brother, Mac, as well as his granddaughter, Jacqueline. Funeral Service: Friday, April 26, 2019 at 1:00 p.m. at Sacred Heart Church, in Wetaskiwin, Alberta. Interment: Wetaskiwin Memorial Cemetery, following the service. There's still time to send flowers to the Visitation at the Baker Funeral Chapel from 7:00 PM to 8:00 PM on April 25, 2019.